Yes, you CAN make people care about safety. Create more front-line leaders, communicate more effectively, improve teamwork and culture, all while looking out for each other and keeping each other safe. It’s all connected and dependent on each other. Then, consider working with Kevin Burns. Improve safety performance. Inspire your people to care. Create great teamwork. "Words can not express the impact Kevin has had on our company. Would our people have been ready for Kevin a few years ago? No way. But today he was exactly what they needed to hear." The best place to work is always the safest place to work. The best organizations are the ones that look after and value their people and set the example of what true leadership is all about. Most of all, they are the ones that really understand what it means to "protect the asset." 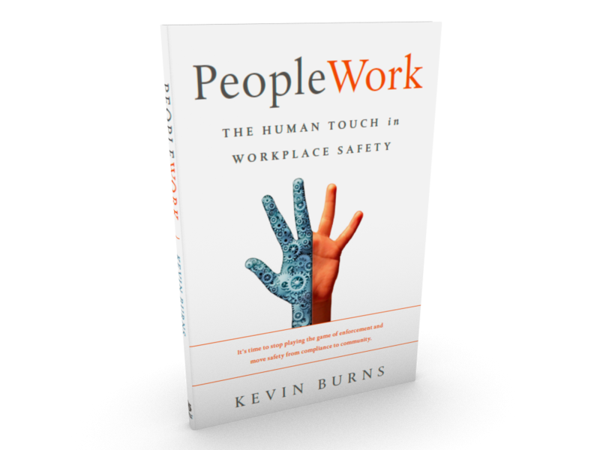 For over 20 years, Kevin has been working with organizations just like yours, most who are facing the same issue: how to connect safety to people, communications and leadership. Rules and numbers don't inspire. Engagement does. Kevin can help re-focus safety in your workplace. Build better safety culture. Get better safety teamwork. Make yours the best, and safest, place to work. 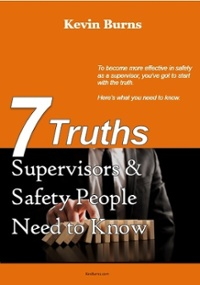 Get your copy of the book that is changing the way that companies do safety.